Steve Philipp became part of the Libera family when his son Ben joined as a miniboy in 2006. This meant travelling at least four times a week from Hindhead to South London – a return journey each time of over 80 miles. 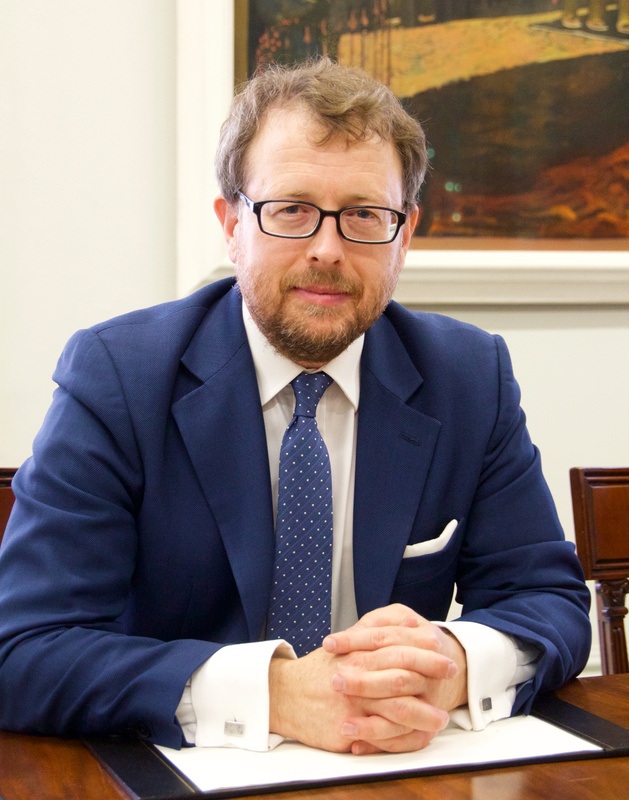 The Libera staff speculated that such a commitment could not be sustained, but we were proved wrong as Ben went on to become a soloist and leading boy in the choir, and Steve went on to be the chairman of the Libera charity which runs the organisation. Born in Iowa in the US, Steve initially studied music, and was a fine pianist and organist. But almost by chance his career took a different direction as he moved into finance and banking. Steve remembered dreaming as a child that he could become part of a travelling boys choir. After moving to the UK, and discovering Libera, he really did become part of a travelling choir – a very crucial part in fact, as his own vision and skills began to guide the expansion, reach and appeal of Libera’s music and tours. 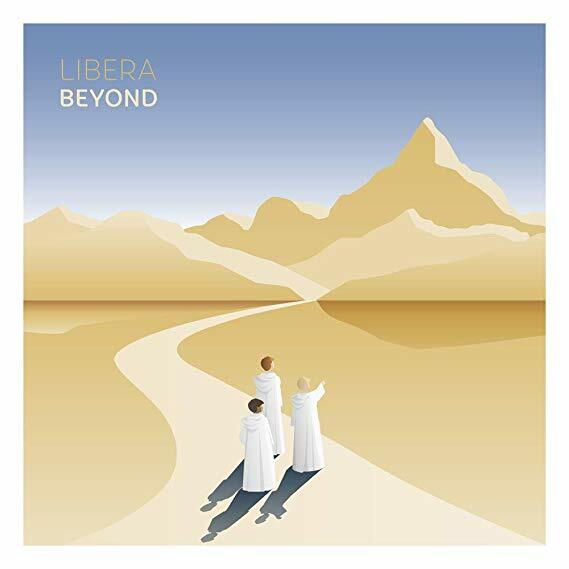 As a devoutly spiritual person, Steve was heartened by the possibility that the music of Libera could sometimes profoundly touch the hearts of listeners – whether specifically religious or not. Steve’s life took some surprising turns, several of them very challenging. But his eternally positive and practical frame of mind always seemed to find lights at the end of tunnels, and many is the person whose sadnesses and disappointments were buoyed up by his optimism – confidences restored – solutions embraced – classically exemplified when a 40 strong Libera party returning from a tour in the Far East, got stuck in Greece behind the ash cloud which brought all air travel across Europe to a halt for several weeks. From London, Steve masterminded an extraordinary rescue involving several hotels in Athens; a coach ride across the country to Patras; 2 days on a ferry to Venice; half a day’s wait in the city during which he arranged a privately guided tour of St Marks; 2 days on a coach across the Alps; then a ferry to Dover and another coach returning us finally home 5 days later – all amidst utter travel chaos across the continent. At Libera we shall miss his irrepressible spirit, his practical inspiration, wit, intellect and vision – and a true and a wonderful friend. I am still trying to get my head around this very sad news. I hope and pray that his family get some comfort from the fact that he will forever live on in Libera’s fortunes in the future. RIP Steven I am going to miss you old friend. Very sad news indeed, my condolences to all Steve’s family and friends. The second time was in Armagh for the filming of the Christmas DVD. The official concert was on the Friday night but there was a full rehearsal on the Thursday that was supposed to be closed to the public. Steve was staying in the same hotel and he chatted to us at breakfast and we enquired about the possibility of attending the Thursday night rehearsal. Steve said that he would see if it was possible and get back to us. True to his word he came back to us later in the day and said we were fine to attend. A true gentleman, I know that many including myself will miss him, but he will always be part of the Libera story. Traurige Nachricht, ich bin erschüttert. Steven war so voll von positiver Energie, Herzlichkeit, und ewiger Zuversicht. Hier ist ein guter Freund von uns gegangen, der mehr als eine Lücke hinterläßt, es ist ein großes Loch. Meine Anteilnahme gilt allen Freunden von Steven, dem LIBERA Chor und natürlich seiner Familie. Steven lebt in meiner Erinnerung weiter. Ich möchte mich den Worten von Norbert Asmussen anschließen. Ich möchte der Familie Philipp mein aufrichtiges Beileid aussprechen. I’ve only known Steve for a few years, but it was always such a great pleasure to get a Skype or call from him. He was a very kind, intelligent, and generous man, with a great sense of humor. We would chat sometimes for hours, and not always about Libera. In every call, he would always get around to asking me how I was and how my family was doing. He was a great help to me when I first started volunteering and his encouragement and advice was always wise and always welcome. I have all of our text conversations still sitting there in my Skype history, and I can’t imagine why I would ever want to remove them. I’d rather see his smiling face there always in my contacts, with the online status of “Away”. This very sad news makes me speechless. In deep sorrow my thoughts and prayers are with Steven’s family and friends. R.I.P. I heard this news earlier in the week, and I’m still trying to understand it in my heart. Though I have come to terms with it in my mind, my heart still says it is impossible. Steve was someone that I had the honour of calling a friend for many years. I’ll never forget how, after a conversation via Skype or just on our mobiles, he would end it with “it was good to hear your voice, buddy”. Steve, you will be missed. I will keep your family and loved ones in my heart during this time of sorrow. Steve was one extraordinary man to pull off what he did both logistically and financially for Libera. I first spoke to him as a near complete stranger. I was hoping to see if it was possible to get Libera here to Alaska, and He gave me the whole rundown of the logistics and expense of moving the group around. I could tell His commitement and dedication to Libera was priceless. He must have been Libera’s guardian angel on Earth!!! I have had some personal losses myself in recent years and these things make you feel like a piece of your soul has been torn out. My condolences go out to Steve’s family, the members of Libera both past and present, and all the volunteers of Libera. Though I never had the pleasure of meeting or speaking with Steve Philipp in person, I join with all the Libera Family in feeling a profound loss. Over some years I have moved from just being a listener to being a close – though mostly distant – follower of Libera’s activities. As an educator myself, I have always had a deep appreciation for the fact that the boy’s voices could never have come into my life without extraordinary support from family, friends and volunteers. Steve’s efforts as an enthusiastic father during Ben’s time in the choir led to so much more. Libera’s global presence grew and Steve’s years of dedicated service were a great gift to all of us. Thank you, Steve. May the Philipp family be comforted knowing how much he did to help Libera’s music touch our hearts. Very sad news and to me totally unexpected. I always made a point talking to him after a concert and he always took the time. I especially remember a long talk we had in Guernsey in the afternoon before the concert there. I was on my way to the hotel when I bumped into him making a telephone call on the pavement. He invited me to come with him to the venue and talk about the possibility of a concert in my country, the Netherlands. Also nice was when I entered the cathedral in Armagh before the friday concert that was to be recorded. The day before I had lamented in the newsgroup on Yahoo that the thursday rehersal was reported as being public and that it was not advertised. He immediately turned to me excusing that fact that it was not advertised and was all a mistake. This made it obvious to me he read the messages in the newsgroups, but never contributed. My condolences go to the family, I wish them all strength. I can’t add much to what those more eloquent than me have already said, but my thoughts are with all those who knew and loved him, from whom he has been taken far too soon. The Libera “family” has been enriched in many ways by his presence. Thank you, Steve, for all your tireless work, largely done behind the scenes and acknowledged only by those closely involved with the organisation and by a small community of dedicated followers. And thank you for lending us your son! His work on this earth done, he turned and followed the footsteps of those who came before him. While visiting my mother in Missouri, I decided to bring her to St. Louis for a Libera concert. My mother was in her eighties and quite frail. The folks at the cathedral arranged a wheel chair for her and made sure we sat right in front. The real capper was when Steve came to our pew and asked if all was well and if we could see/hear ok. My mom has passed away since then but that was a big memory for her, especially since Steve made such an effort to see that she was comfortable. Thanks, Steve, and God bless you! May you rest in peace, Steven, as I always will treasure your answers to my questions regarding Libera. This was an unexpected incident, as my prayers and thoughts are wiith your family. Although we never met, I do recall part of a video showing you with your son, then known as “MiniBen” as a member of Libera. Without you and John Rexroad, I would never have seen Libera live in Boston in April 2015. Take care my friend, and may your family have fond memories of all that you have accomplished. I’ve probably never met Steve, but I’ve been to Libera’s concerts on the east coast, U.S. I feel so privileged to have met his son Ben in 2008 in NYC. I’ve just read the descriptions here of what a brilliant and dedicated man Steve was for the benefit of Libera. I just wanted to express my condolences to Ben and all his family for the loss of this brilliant man at such a young age. I am shocked to hear this sad news. My condolences to his family, friends, and everyone who will miss him. Blessings to you all during this difficult time. Rest in Peace and God’s Blessings on your family. My thoughts, prayers and gratitude are with his family and friends in this time of loss and grief. Steven was a wonderful man, he always chatted to me at Libera concerts and by email, keeping me up to date, i will miss his witty nature, his friendship and his love for all things Libera, my thoughts and prayers are with his family, we have indeed lost a wonderful person. We most humbly beseech thee, of thy goodness, O Lord, to comfort and succour Benedict Philipp and all those who in this transitory life, are in trouble, sorrow, need, sickness, or any other adversity. Remember, Lord, your servants who have died in the faith of Christ especially Steven Philipp; grant them continual growth in your love and service. Grant these our prayers, O Father, for Jesus Christ’s sake,our only Mediator and Advocate. Amen. RIP Steve Philipp – I had one chat with him during an intermission at one year’s St George’s concert, obviously he was extremely busy. My eyes are filled with tears and my heart is breaking, not for myself but for our Libera family and moreso, Ben and his family! I met Steven ever so briefly at two of my 4 Libera concerts and he was a true gentlemen and an amazingly beautiful soul. Ben and family, my deepest condolences to you and yours. Libera, my condolences as well. I shall miss you, my friend. I pray we will meet again in Glory. Had the honor and pleasure of meeting him before/after several concerts we attended. Very personable, down-to-earth, kind man. Can’t imagine how much he will be missed by the LIBERA organization. My condolences to the family, especially Ben. May Our Lord bring them strength in this time of sorrow. Having known Libera for the short period of one year only, I nevertheless can’t help feeling shocked and even sadder now three days after this information was given. I learnt that Libera was a heartfelt matter to Steve and that he did very, very much for Libera’s best, but I certainly am not able to grasp the REAL dimension. He must have been a great person. My thoughts are with Ben above all, with his family and all who belong to Libera. Much too early, much too young. And who can understand why. I’m very sad to hear of the passing of Steve Phillip , deepest condolences to Ben and family. Rip Steve. It was with great shock and sadness that I heard of Steve’s untimely death one week ago. My immediate thoughts were for his family who loved him dearly and were dearly loved by him. How would they cope with such a tragic loss? I just hope they may find some comfort in the messages above which show how much Steve was loved and appreciated by what might perhaps be called the “extended” Libera Family. So many times, after the concerts, I saw Steve surrounded by eager fans bombarding him with questions. With infinite patience, he would always give his full attention to address their enquiries. Steve had a great understanding of how the music of Libera, indeed the Libera “Ministry”, as he once called it, could inspire, could comfort, and could heal troubled souls. I will miss him greatly, as will we all. I am so sorry to hear this. RIP sir. Rosary prayers for all. I had no idea Ben’s father was from Iowa. Peace to the entire family. That’s very sad. I hope his son Ben returns to singing with Libera. Mr. Steven sehr unglücklich. Besonders tut es mir für Benedict leid. Er hat als sehr junger Mann sein Vater verloren. Ich wünsche Benedict und seiner Familie ganz viel Kraft. Die große Familie Libera einschließlich seine ehemaligen Chor – Gefährten werden Ben bestimmt unterstützen. So sorry to hear of this tragic loss. Steven was an absolute gentleman through and through. My heart goes out to Ben and his family, and to everyone in Libera. I am struggling to come to terms with this tragic news. My prayers will be for everyone involved with Libera. All of us at Boystuff Magazine are thinking of you. Rest in peace Steve, it was a absolute pleasure to know you. My heart is saddened at just hearing of the untimely passing of Mr. Philipp. I never had the privilege of meeting Mr. Philipp, but have been a follower of Libera since 2007 & a financial supporter since 2015. I am fortunate to have purchased Libera’s CD’s & DVD’s since 2007 & to have become a fan of ‘mini’ Ben when he was younger & singing with Libera. His fantastic solos & resounding harmonies have brought comfort & peace to my soul for a decade now. I was aware of the fact that Mr. Philipp worked behind the scenes with Libera but had no idea he had been from Iowa. My father wa born in Winterset, Iowa & my grandparents & other distant relatives were from Iowa. I pray for God’s comfort & peace for Ben & his family during this time of sorrow & hope they will find some solace in knowing that many Libera fans join with them grieving during this trying time. My condolences to Steven’s wife, children, and family. His dedication and hard work toward Libera and his other philanthropic efforts will be missed for sure. I cannot imagine the hours he spent simply taking care of people, Libera or otherwise. May you rest in peace Steven – and rise in glory. There are no greater words of hope and comfort or powerful resolve than those in the lyrics sung by Libera. No matter the despair, You Were There. No matter the glory, You Were There. As I listen to every song by Libera, I experience a hope like none other. Mr. Philipp, Ben, and all the boys bring a courage and joy to me. In my deep moments, I listen and as though a miracle, a transformation happens and the joy floods in again. A most beautiful choir to which Mr. Philipp was imminently responsible for its success these years. Truly a gifted man and a gifted son in Ben. My condolences to his family. Please know and believe, interwoven in the music of Libera is the gifts from Mr. Philipp. As often as people hear Libera (Liberty) he will be remembered. A terrible loss for Ben, his family and Libera. I wish everybody a lot of strength to cope with the loss of Mr. Philipp. May he rest in peace. It’s really weird, for some reason just today, I was thinking of Ben Phillip and what he might be doing with himself these days and then tonight, on the phone, a friend gave me this terrible news. I hadn’t heard. As everyone else here has already said, Steven was a through and through gentleman who always had time for us fans. I spoke with him briefly on a handful of occasions over the years and he was always so generous with his time and patience. A softly spoken, lovely, lovely man. Condolences to his family. Much too young to go. Rest in peace. My condolences to Steven’s wife, children, and family. With my heart, I am with you and your family, Ben. From France, all the expression of my sincere affection. You’ve been in my heart for a long time, Ben. May my prayers be your help. I am near you by my thoughts and my faith. I am so saddened to learn of the passing of Mr. Phillip. I know what a big part of Libera He was. Although I never met him, I know, from all I read about him and all that he did for the boys and the whole program. I wish to express my condolences to Ben and all the family and to everyone who knew him. Eternal rest grant unto Steven Phillip, oh Lord, and may Perpetual Light shine upon him. May his soul and the souls of all the faithful departed, through the Mercy of God, rest in peace, amen. May God give you grace and strength, family of Steven, your solace and comfort in this time of loss and sorrow will be my prayer for you. That was a good man. Sr. Phillip. Dios reciba su alma, y su amor por la música se propague por siempre. Mister Steve your son mini Ben it’s one perfect young men. For ever in my heart ♥ Libera Choir. Carissimo Ben e Famiglia, ho saputo solo oggi della scomparsa prematura di tuo padre Steven. Sono un tuo grande ammiratore e ti sono particolarmente vicino con la preghiera. Sono anche un grande fan di Libera, che considero una bellissima realtà: vedere dei giovani e giovanissimi ragazzi che si dedicano con passione e con amore alla musica corale e concertistica mi commuove e mi riempie il cuore di gioia. Io stesso sono stato cantore per molti anni, come baritono e basso. Conservo ancora la voce bianca e diverse volte mi sono allenato a cantare, mentre ascoltavo la vostra musica e il vostro canto. So che tuo papà era una persona molto speciale e che ti ha lasciato un grande patrimonio culturale, umano e spirituale, da custodire con amore. Sono convinto che da lassù veglia sopra di te e sopra la tua famiglia. Sappi che sarà sempre presente e non vi lascerà mai. Nella S. Messa di stasera l’ho ricordato nel canone della consacrazione. Mi piacerebbe tanto conoscerti anche se, guardando diversi fimati su di te, ho intuito molte affinità con la mia persona. Carissimo Ben, continua con la musica e con il canto. Hai una voce bellissima! Potrai così onorare la memoria di tuo padre. Che dirti se non manifestare a te e alla tua famiglia il mio affetto. Colgo l’occasione per benedirti e sostenerti con la mia preghiera. Vi benedico di cuore nel nome del Padre, del Figlio e dello Spirito Santo. Don Marco Maria Fossile, sacerdote della Diocesi di Savona-Noli, in Liguria (Italia). Although I never had a chance to meet Mr. Philipp in person, I’ve always heard about how much remarkable effort Mr. Philipp had made to support Libera and many details about Mr. Philipp that deeply touch my heart. Basically Mr. Philipp is a kind and generous man I admire and respect from a distance. I never imagined he would leave us so early at such a young age. This morning I heard this sad news by accident and now I am in deep sorrow. Mr. Philipp, you will always be with Libera family and remembered by us all. Rest in peace.